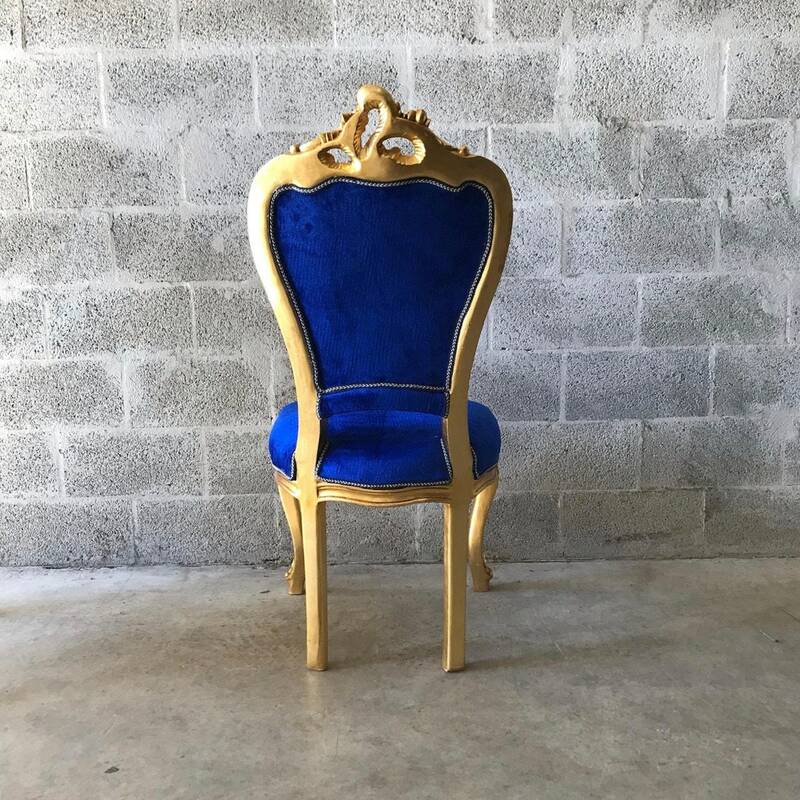 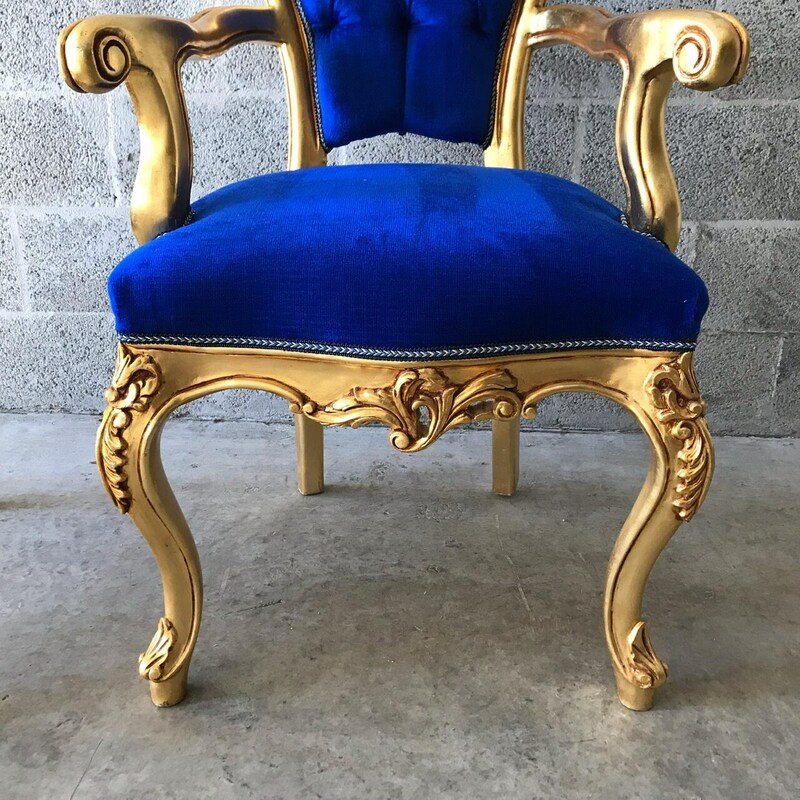 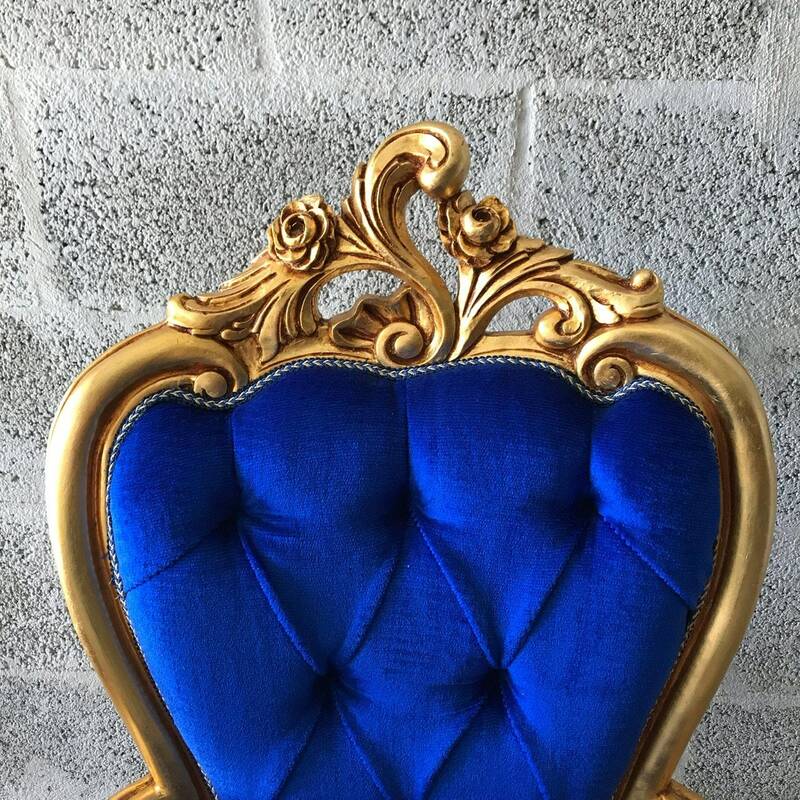 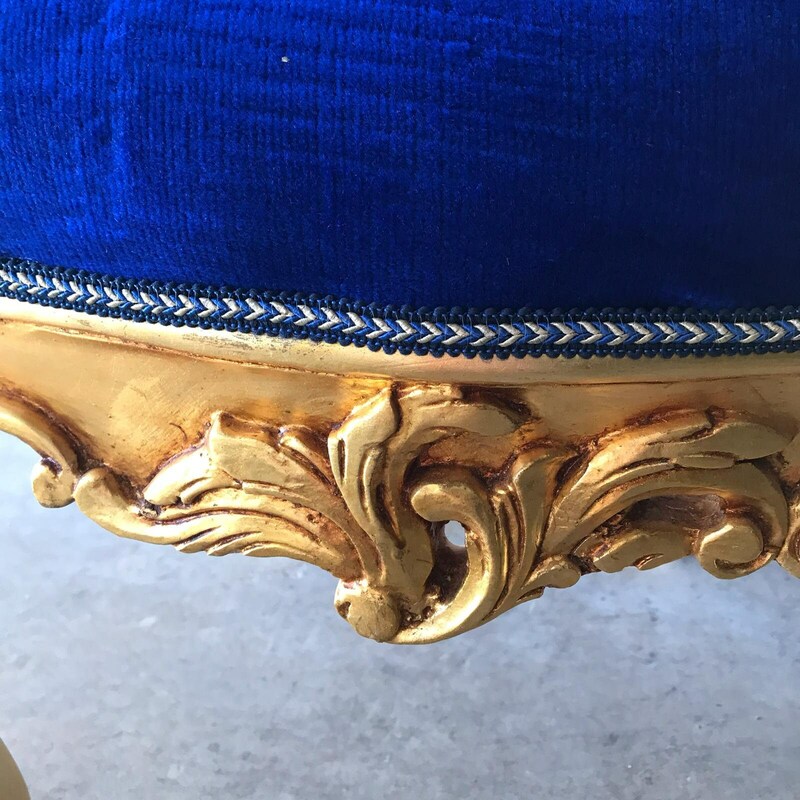 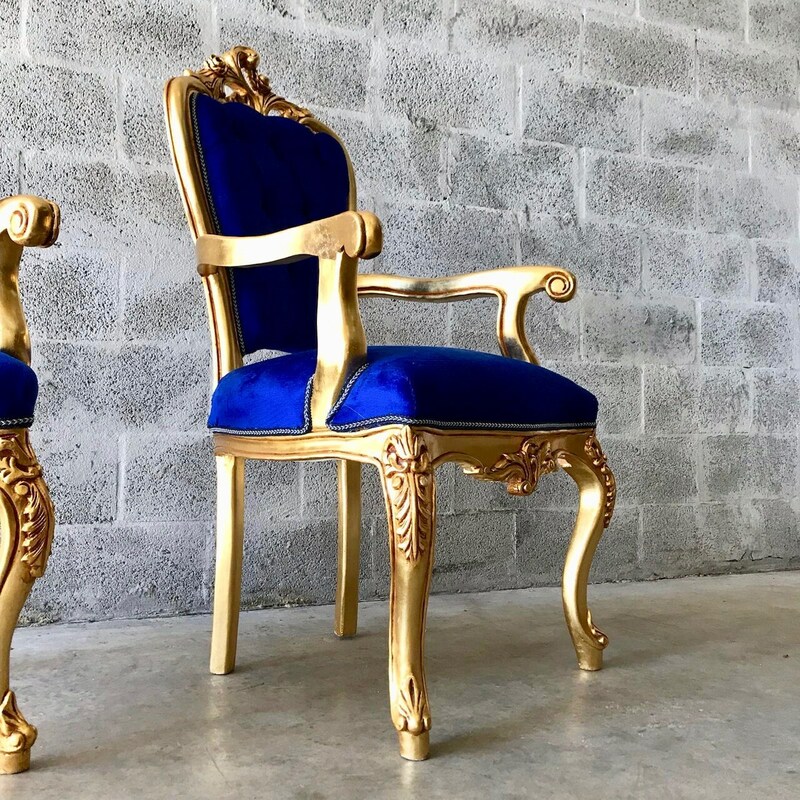 Beautiful statement piece reupholstered in blue velvet. 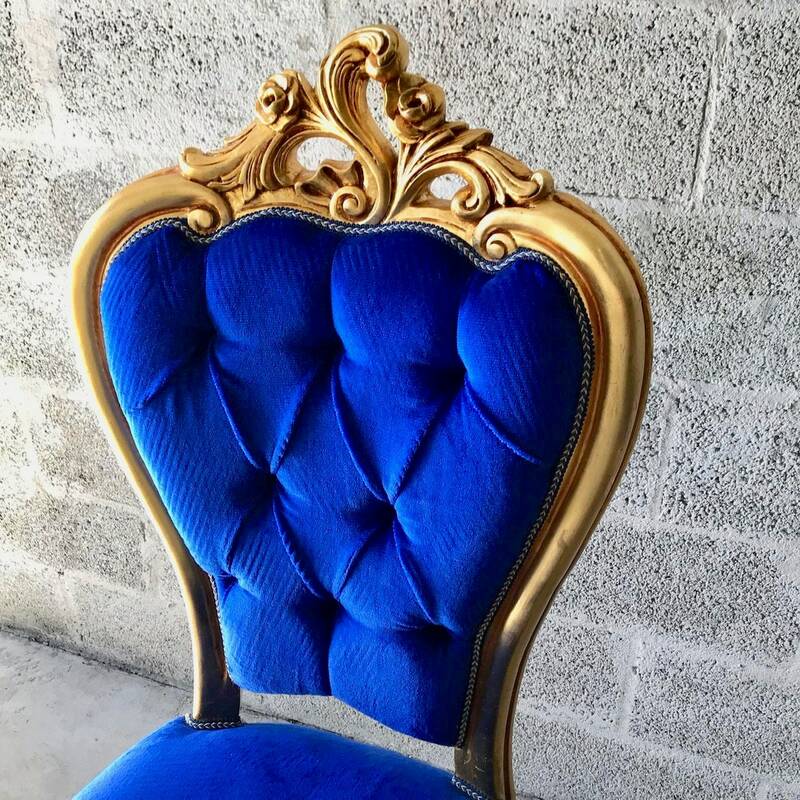 Excellent condition but you should still be able to see normal wear and tear. 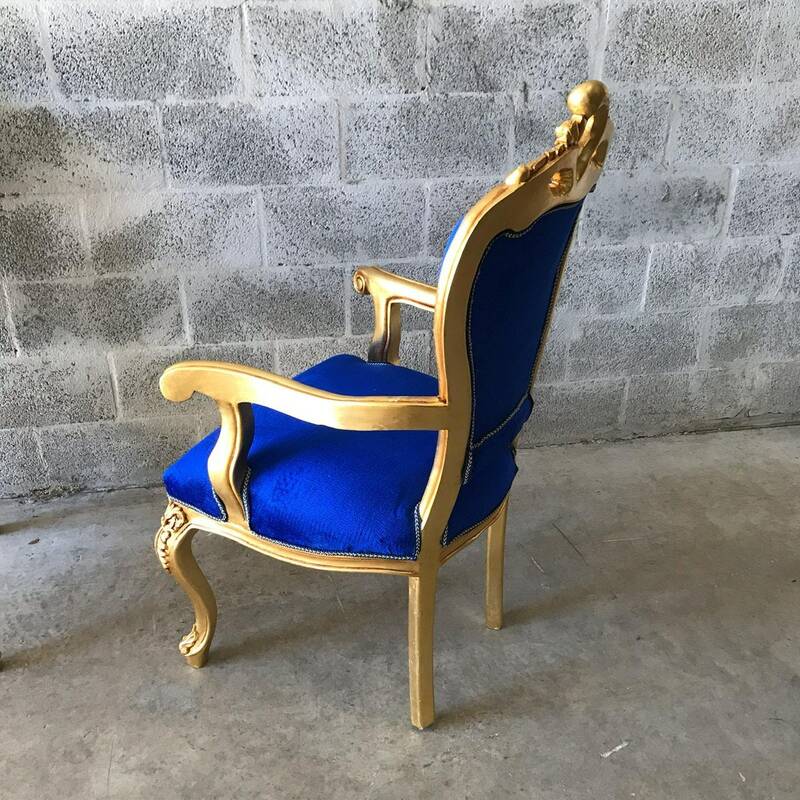 Sturdy and ready for everyday use. 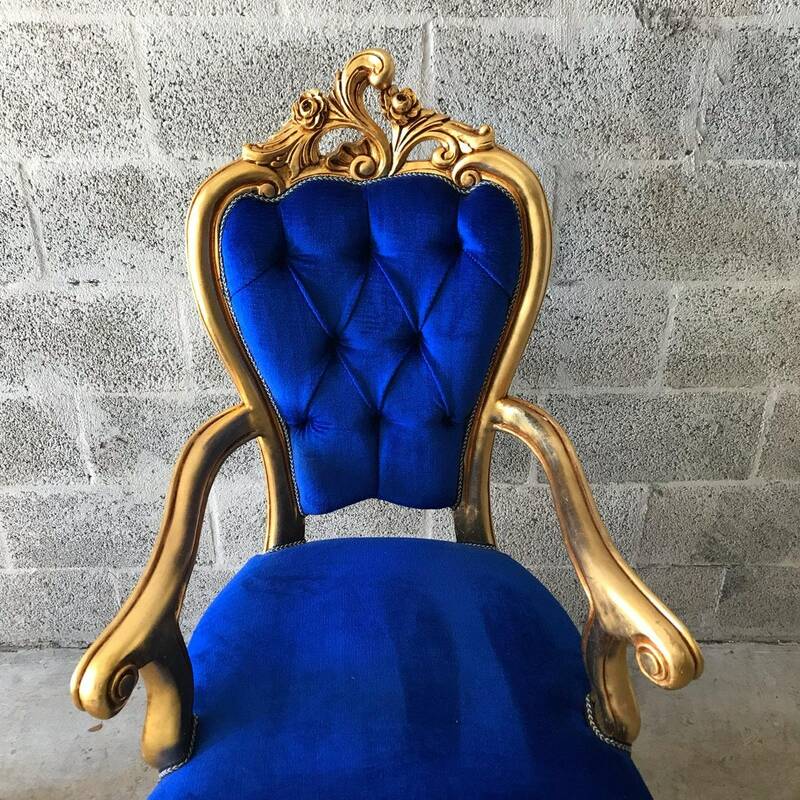 Not willing to break the set. 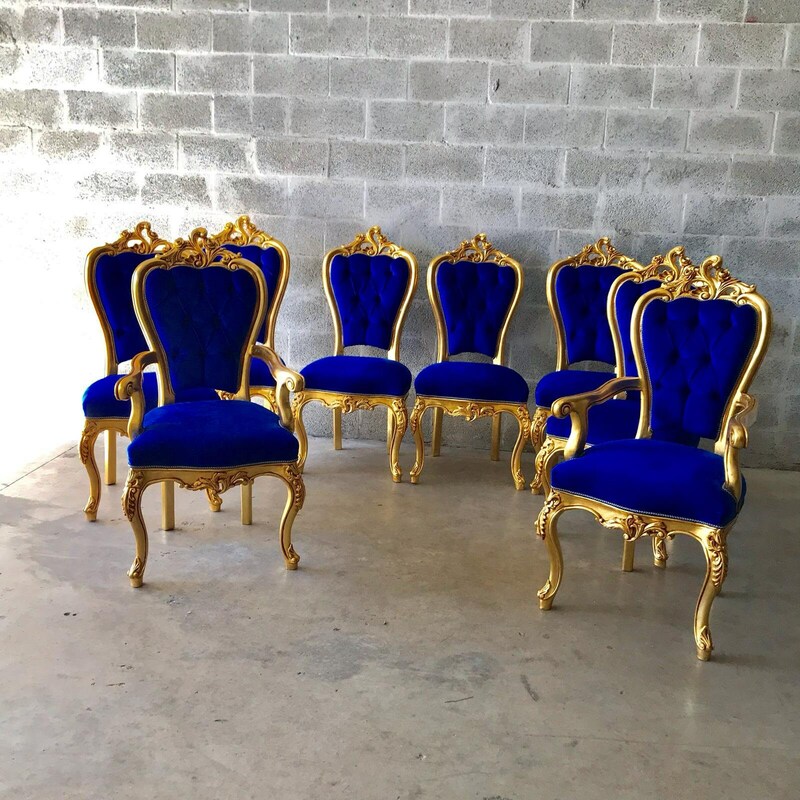 Price is for all 8 chairs. 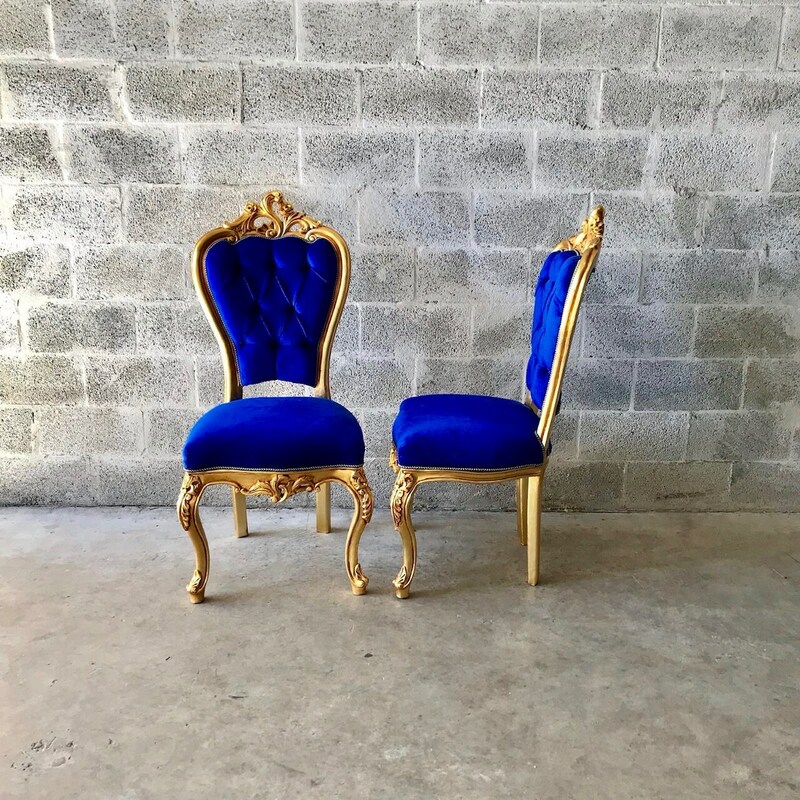 The set comes with 2 arm-chairs and 6 standard chairs.